Malayalam movies releasing in October 2013 details are given here. Are you a movie lover? Want to know the films to be released on this October 2013? Then read this article to know more about all the malayalam films which are going to be released on October 2013 and also know the cast & crew and synopsis of the films. Also know the release dates of the films. The month October is here and what awaits you are a bunch of Malayalam movies ready to be released. The good news is that about 7 Malayalam movies are getting released this month. Let's have a look at them and know the cast & crew and also the synopsis. It all gets started on 4th of October and 4 of them are releasing on the vary day. 'Cold Storage', 'Camel Safari', 'Kaanchi', 'Red Rain' are the 4 films releasing on the vary day. Coming to 'Cold Storage', the film is from Vinod Vikraman and Shaiju Thampan and is distributed by NK Movies International. Basil and Jafeena plays the lead role in the film and is having new faces as lead cast. The film goes through the story of two persons Arun Kumar and Anu George who lives in Chennai. The film takes us through the events that happen between these two who are lovers, in a 5 day span. K.K Omanakuttan produces the movie and Mendos Antony is the Editor. Siju Thuravoor, Sreeman Galam Sreekumar and Jayan Thirumana does the lyrics and Arun Raj tunes the music. The movie is a suspense thriller with new faces casting the lead roles. 'Camel Safari' takes us to a different plot that was never seen in Malayalam movie. The story takes place in Rajasthan and the movie is directed by Jayaraj. Rejimon Kapparambil produces the movie and Deepankuran tunes the music for the lyrics by Kaithapram Damodaran Namboothiri. Thomas Thoppilkudi does the screenplay and also does the story. Arun Kuamr and Pankaja Menon does the lead roles in the film. 'Dia', heroine of the film is a management student who lives in Mangalore. She and her 4 friends decides to get to Rajasthan to attend a marriage. There the heroine falls in love with a Rajput boy 'Pavan' (Arun Shankar). The film takes us through the events that follows in that far land and tells what really happens to her afterwards. 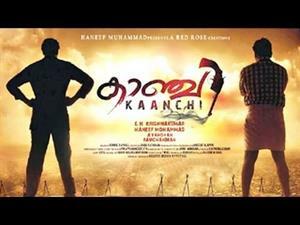 'Kaanchi' is another promising film from G N Krishnakumar which is produced by Haneef Muhammed. Ronnie Raphel does the music for G N Padmakumar's lyrics. Editing is done by Babu Rathnam and 'Ozhimuri' fame Jayamohan does the screen play, dialogues and story. Indrajith, Murali Gopi and Archana Gupta does the lead roles in the film. The film tells us the story of Madhavan who is an innocent man running a grocery store in his village. The unexpected and dramatic events that take palce in the life of the hero and the following events fills the content of the movie. The film is distributed under the banner of Red Rose Creations. Ravi Chandran does the camera works for the movie. 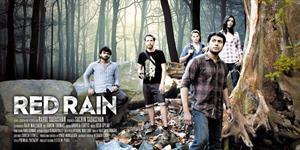 'Red Rain' is a science fiction movie directed by Rahul Sadashivan, a new comer. Actor Narain is on his way back to the industry through this film and plays a research scholar's role. The thread of the movie itself is interesting and it unveils the mystery behind the phenomenon called 'Red Rain' that occurred in Kerala during 2001. Some scientists claims that the red rain is related with extra-terrestrial beings. The movies is based on this. The movie is much anticipating because the director has a degree from well-known film institute in London and this will be a good start in Malayalam Film industry. The script and story is also by Rahul Sadashivan, the director of the movie. Andrea Fortis does the Editing. Josh Spear does the music direction. Sound Design is by Harikumar Madhavan Nair and Sound Effects by Barbara Mingrone. The film is expected to be a different one from the other movies which are releasing on the vary day. The other three movies are set to be released on 11th of October and are, 'Idukki Gold', 'Pattam Pole' and 'Salaam Kashmir'. The movie 'Idukki Gold' is from well-known director Aashiq Abu. The movie is produced by M.Ranjith and V. Saajan does the editing. Bijilal tunes the music for Rafeeq Ahmed's lyrics. The screen play is by Syam Pushkaran and Dileesh Nair. The story is by Santhosh Echikkanam. The movie narrates the story of 3 friends who meet after a long period who were together while studying in a school at Idukki. The 3 friends (Prathap Pothen, Maniyanpilla Raju and Raveendran) decides to find other 2 friends (Babu Antony and Vijayaraghavan). The unexpected and interesting events they face during the journey of the 3 friends fills the content of the movie. 'Pattam Pole' is the directional debut film of the well-known cameraman Azhagappan and is also a cinematographer in industry. 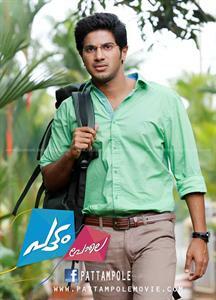 Dulquer Salman, Archana Kavi, Anoop Menon, Lalu Alex does the lead roles. The movie narrates the story of a young Brahmin boy Karthikeyan also known as Karthik (Dulquer) who falls in love with Ria (Archana Kavi) who is a co-worker of hero in an event management company. The twist comes when the relationship between them suddenly stops and the story takes us through the events that follows and the reason for the breakup. Karunakaran produces the film and Raja Muhammed does the editing. Music direction is by M. Jayachandran. The movie 'Salaam Kashmir' is an action thriller, starring Suresh Gopi. He is on his way back to the industry through the movie. The film is irected by Joshy and the movie will be having much expectations. 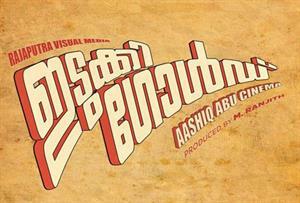 The movie narrates the story of two men Sreekumar (Jayaram) and Tomy (Suresh Gopi). The story takes turn when Tomy enters the peaceful life of Sreekumar and the events afterwards forms the plot for the movie. Lalu Alex, Ponnamma Babu, Vijayaraghavan, Krishna Kumar are also in the casts list. Subair produces the film and M. Jayachandran does the songs. Another interesting thing is that Jayaram has also sung a duet song with Shweta Mohan. The film is expected to be a blockbuster since it is from a well-known director.